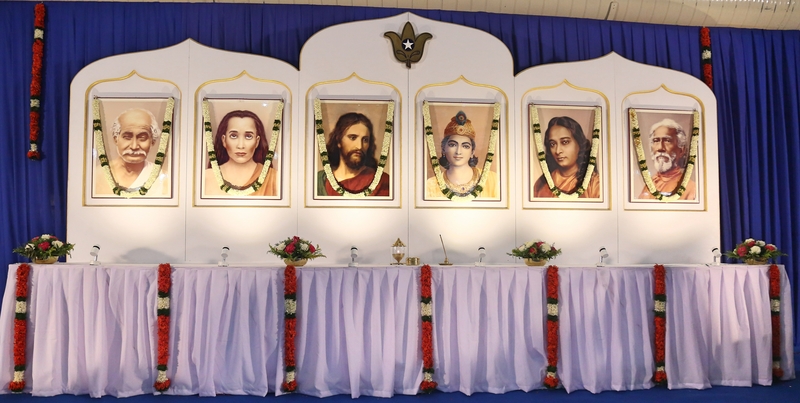 The three day function took off colourfully on 31st July morning exactly at 9.00 a.m. with impressive floral decorations of the stage as well as of the Altar. Swami Smarananandaji gave the inaugural speech which was very elevating. 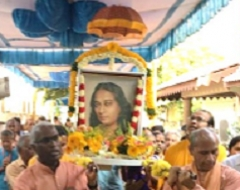 Since that day happened to be Gurupurnima day, it was celebrated in style in the evening with a three hour Satsanga starting from 4.00 p.m. for which press and public were also invited. The hall was overflowing with more than 500 persons attending the function. 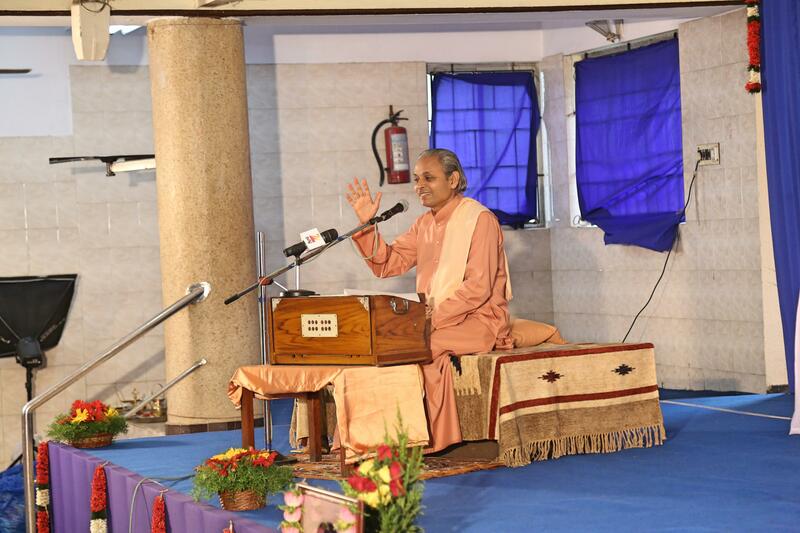 Swami Smaranandaji's inspiring speech on' The need for a true guru ' was the bright spot of the event. The Swamiji eloquently dwelt on the subject for more than an hour. Chennai Doordharshan covered the entire evening programme and the excerpts of Swamiji’s speech were telecast in ' Podhigai ' Doordharshan channel on 9th August Sunday evening by 6.45 p.m.
Around 400 YSS devotees registered themselves for the three day function and enthusiastically participated in all sessions of the function. 55 nos devotees took Kriya Diksha on 2nd August. 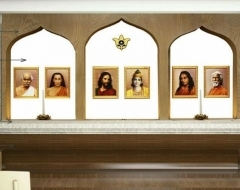 The Kriya ceremony went off smoothly with pin drop silence with devotees sliding into deep Guru bhakthi mood. Br.Pavitranandaji helped admirably for the smooth conduct of the Kriya ceremony. 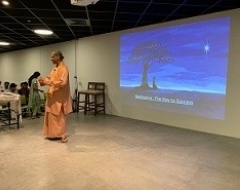 YSS techniques were reviewed both in English and Tamil brilliantly by Swami Lalithanandaji and Br. Pavithranandaji respectively during the first two days of the function. All the devotees who attended the function were found to be in a happy frame of mind while leaving for their homes and it definitely marks the great success of the function which would not have been possible but for the unrestricted flow of our Beloved Gurudeva's Divine Grace from above and the diligent efforts put in by the highly dedicated volunteers of YSDK, Chennai. 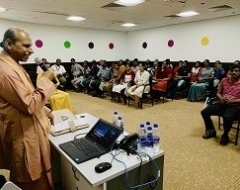 Of course, our YSS monks’ help and efforts rendered during the function to make it a grand success are indeed matchless.